CarePartners of Connecticut received approval from CMS to offer a new Medicare Advantage plan in the state of CT with enrollment beginning fall of 2018. Successfully launched Healthy Planet Quality Dashboard which allows providers to monitor and manage quality performance. Successfully created and implemented a system wide care management governance and operating structure to promote standard work across the care continuum. Achieved the Premier High Performer award for the CMS Comprehensive Joint Replacement bundled payment program for work at Midstate and Backus Hospitals. Resolved Anthem contract impasse and resumed in-network status achieving key contract objectives and successfully negotiated a 3 year Cigna contract for the system and ICP community providers. ICP practices generated $3.4 M in savings across our commercial and Medicare Advantage agreements. MSSP performance was in the top 20th percentile of participating MSSP accountable care organizations in the nation. ICP was 66th out of 334 ACO participants. In 2014, the total cost of care was reduced by $5.58 million. In commercial value-based agreements, ICP is distributing $1 million in shared savings, with 77 percent of primary care physicians and 74 percent of ICP specialists expected to receive full shares. Brought a new chief medical officer on board, Dr. Michael Pinnolis, who is focused on population health management and moving our system into the top decile in quality and outcomes. Implemented a partnership with the University of Connecticut School of Pharmacy to bring Dr. Sean Jeffery onto the staff a director of ICP Clinical Pharmacy Services. The goal is to help providers and patients more effectively manage medications to reduce readmissions and cost and improve quality of life. Increased the ICP care management team to more than 30 members, including nurses, social workers and health coaches. All team members are nationally certified in managing chronic diseases. Led the implementation of RightCare, a software platform, at all Hartford HealthCare hospitals (Backus, Hartford, the Hospital of Central Connecticut, MidState Medical Center and Windham) to reduce readmissions by identifying high-risk patients at admission and quickly begin planning those patients’ transitions to skilled-nursing facilities and home. Led the development of a pilot preferred provider network of 38 skilled-nursing facilities that have met high quality standards. These facilities are connected to RightCare and quickly communicate with hospital care coordinators. Led development of Congestive Heart Failure Bridge Clinics at HHC hospitals to reduce readmissions and help CHF patients and their families become more engaged in care. Clinics at Hartford Hospital, MidState Medical Center and Windham are modeled after the Hospital of Central Connecticut clinic, which has been successful in reducing readmissions of CHF patients. Began work to expand palliative medicine into outpatient settings, including physician offices. Continued work integrating behavioral health services into primary care. 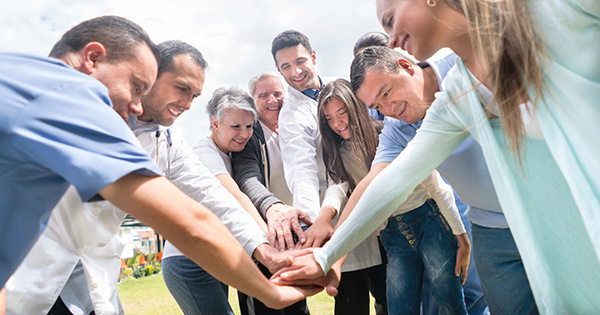 Implemented an Employee Population Health Management Program for 25,000 Hartford HealthCare employees and their family members, with ICP providers as Tier One providers. ICP primary care providers with Hartford HealthCare Medical Group successfully implemented the Epic electronic health record. Implementation of Epic through Community Connect is available to ICP providers. Came to an agreement with Aetna for the development of a cobranded insurance plan with Hartford HealthCare and the Value Care Alliance (Aetna Whole HealthSM – Hartford HealthCare & Value Care Alliance). ICP members will work with Aetna to coordinate healthcare services and demonstrate high-quality care.